The ‘What’s on in Manchester’ blog will give you a heads up for selected highlights of where to be and what to see in Manchester for the coming month – published every month on behalf of Visit Manchester. From woodland wildlife, to wood for art and buildings, the objects we’ve collected as part of our ‘Trees – collecting to connect’ project show how important trees are. Part of the British Ecological Society’s Festival of Ecology. Daily at 11am with an extra showing at 2pm during weekends and school holidays – meet Rattus Rattus as he takes you on a journey back to the woeful Second World War, where you can discover foul food, dig for victory, and make do and mend. IWM North is also hosting a range of Get Fit for Summer activities throughout August – see their website for more information. The Hallé present Close Encounters, an wonderful summers evening of classical music inspired by the stars. Britain’s oldest syphony orchestra will perform a unique prom in the shadow of the iconic Lovell Telescope at the University of Manchester’s Jodrell Bank Observatory. Picnics, pimms, prosecco, fireworks, hands-on science workshops, lectures and experiments also included in the ticket price. Hey! Manchester present Owen Pallett Buke and Gase, rock alternative music, for a fantastic night for any big music fans at the fantastic Swan Street venue. Matthew’s sound echoes the modal jazz of John and Alice Coltrane and the hard bop of the late ’50s and early ’60s, but on Fletcher Moss Park, his latest recording and the focus of tonight’s performance, he offers his most personal statement yet. GoGo Penguin draws on a heady brew of influences from classical to electronica: from Aphex Twin to Brian Eno, Debussy to Shostakovich and Massive Attack to EST. Their debut recording Fanfares won rave reviews and was nominated for ‘best jazz album’ at Gilles Peterson’s Worldwide Awards. Manchester Pride Fringe will run throughout the entirety of August, featuring a variety of arts, culture, entertainment, sport and family activities for all. This year’s highlights include a dinner with Christopher Biggins, artistic celebration of all things marriage in Britain ‘A Royal Wedding’ and ‘The Great Village Bake Off’. 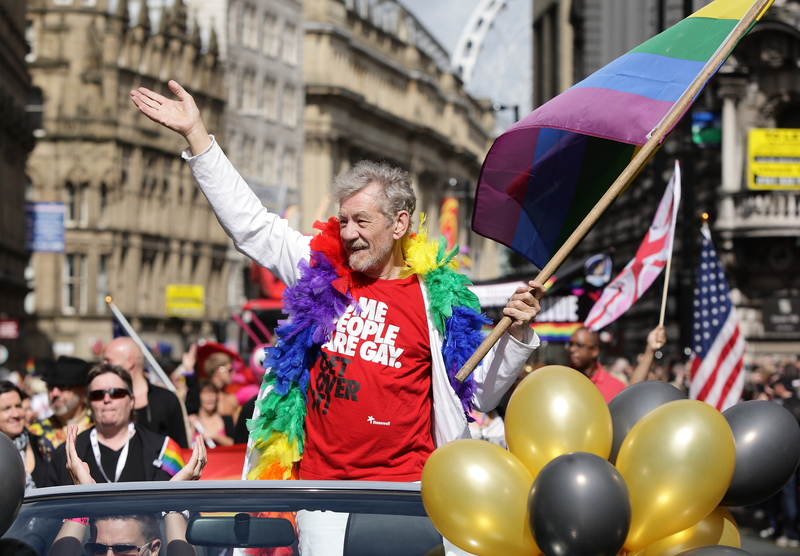 For more information on the many, many events taking place, see the Manchester Pride website. Bringing to life the dynamic, larger-than-life persona of Eva Peron, wife of former Argentine dictator Juan Peron, Evita tells the story from her young and ambitious beginnings to the enormous wealth and power she gained and her ultimate rise to sainthood. For the first time without their parents, two siblings embark on a holiday to the seaside. Full of freedom and high spirits they meet a handsome young American who invites them to a dance at the local U.S. Air force base but, young love and holiday romance is never as simple as it sounds, and the sisters soon realise that while the world around them is still watching itself in black and white, life and love can be much more colourful. Following the success of Stone Jetty’s previous 4-star productions including Guilt, this new play is a retelling of some of the Grimm Fairy Tales for adults, both well known and some more obscure. Moving from modern day to the depths of the enchanted forest, this eerie production puts a spellbinding new twist on the stories we all know and love. Manchester’s biggest largest festival – and winner of five consecutive ‘Best UK Pride’ (Pink Paper) awards – is back this August for it’s fabulous and flamboyant Big Weekend. Musical performers across the weekend include Sam Sparro, Kate Nash, The Feeling, Patrick Wolf, a variety of X-Factor favourites and Moto Blanco – two of the hottest DJs of the minute. Additionally you will find the Pride Parade, Candlelit Vigil and much, much more across this wild – and extremely celebratory and meaningful – Big Weekend. Oldham’s Tommyfield Market hosts all things Asian this August – with a fabulous array of foods, fun, jewellery, entertainment, fashion and more. For information on booking a stall, or for further details on the event please call 0161 770 4459. It’s full steam ahead for Thomas and his friends on the East Lancashire Railway. One price ticket includes all rides and entertainment with face painting, train rides, magic, circus shows and much more. Sky Ride Manchester is a great opportunity to ride with family and friends in the city centre this summer. There’ll be loads of free things for the whole family to do on the day, so get your bikes ready and come and join in! The 4th UK Backward Run is taking place in Heaton Park on Sunday 11th August 2013. No other sport could possibly lay claim to be as humorous, as tough, as exciting, as contagious, as healthy or as entertaining and all at once. This entry was posted in News and tagged afflecks arcade, afflecks palace, band on the wall, big weekend, buke and gase, candlelit vigil, chand raat festival, collecting trees, east lancashire railway, east lancs, evita, gogo penguin, hallé, hey! manchester, horrible histories, imperial war museum, iwm north, jodrell bank, kate nash, manchester museum, manchester pride, matthew halsall sextet, moto blanco, oldham, owen pallett, palace theatre, patrick wolf, pride parade, sam sparrow, save the last dance for me, sky ride manchester, the feeling, the lowry, the quays, thomas the tank engine, three minute theatre, tommyfield market, twisted tales, uk backward run, x-factor on July 10, 2013 by Matt Horwood.